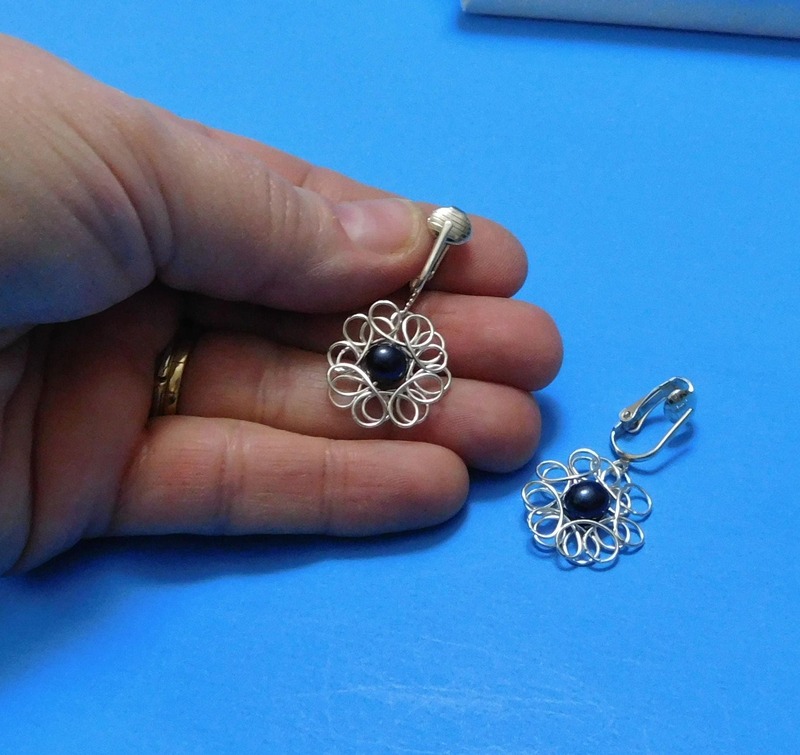 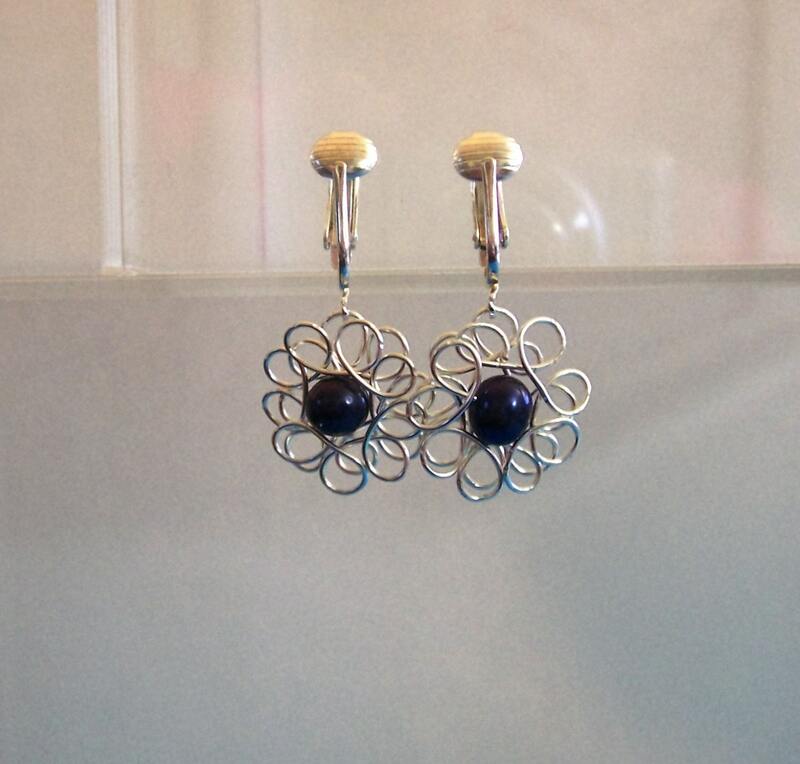 Dark blue freshwater pearls are artistically sculpted within fine silver over copper wire, to create beautiful flowers. 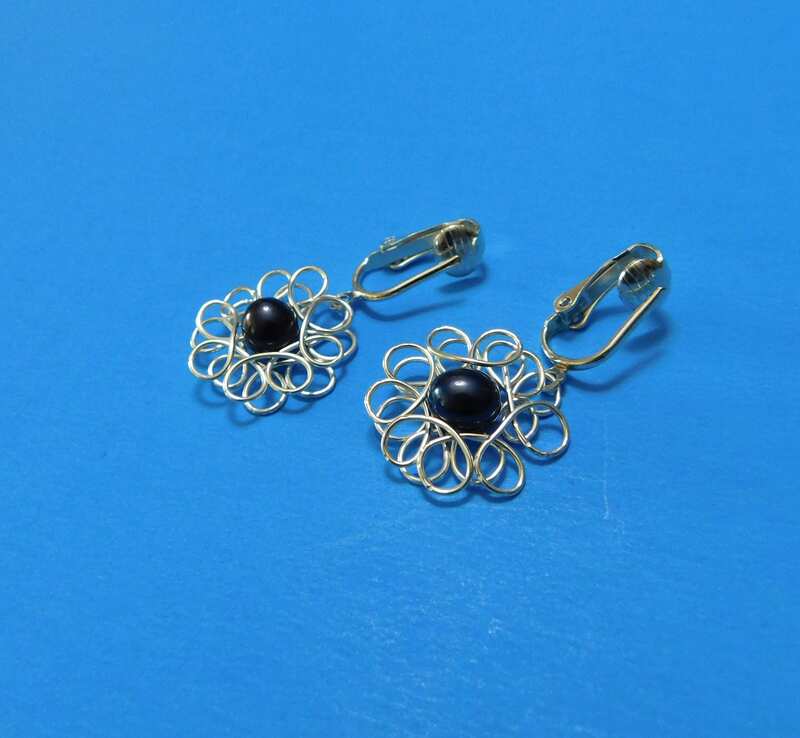 These stunning and unique earrings dangle from comfortable clip- on ear clips with a pierced look. 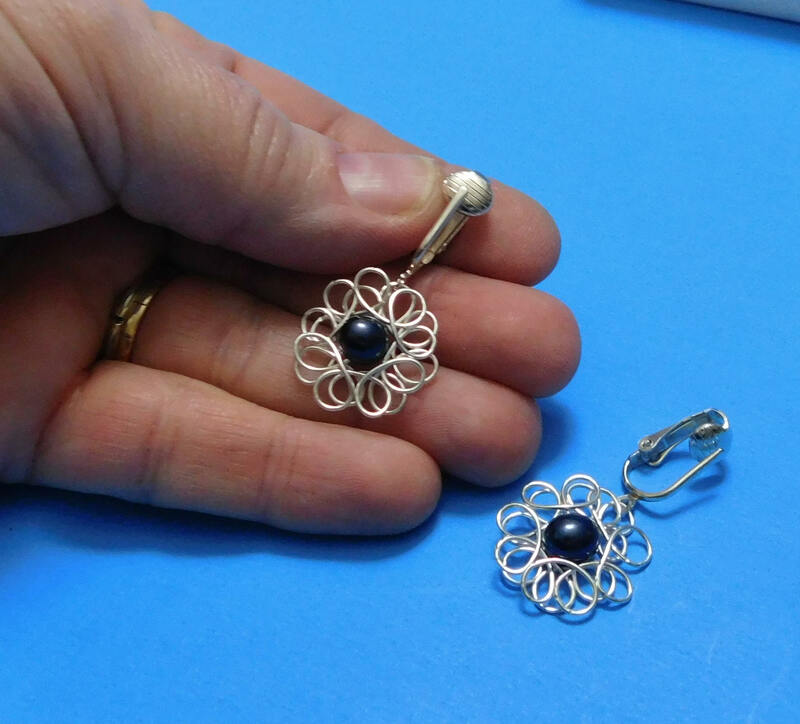 Each flower measures 3/4 inch. 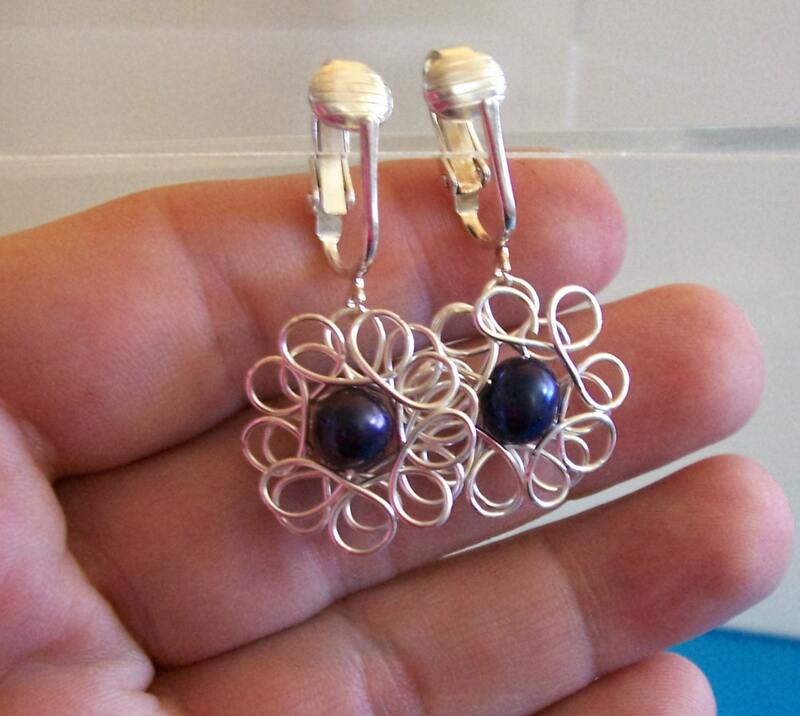 What a special gift for the special woman in your life, or for yourself.